*Solid-state drive (SSD) is often referred to as solid state disk. APRO HERCULES-Q series industrial SLC PATA SSD [2.5", rugged metal, 44-pin] are available from 8GB to 128GB and in standard temperature grade (0°C to +70°C) or industrial extended temperature grade (-40°C to +85°C). * C: Optional conformal coating is available upon request with extra charge. Industrial multi-level cell (MLC) PATA SSDs are available at lower prices. APRO HERMI-A series industrial SLC PATA SSD [2.5", rugged metal, 44-pin] are available from 128MB to 8GB and in standard temperature grade (0°C to +70°C) or industrial extended temperature grade (-40°C to +85°C). 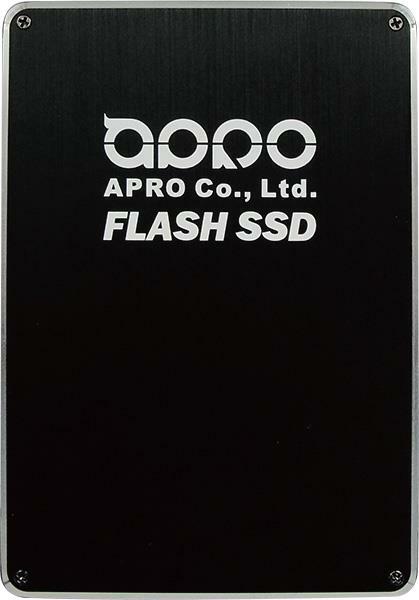 APRO PHANES-B series industrial grade SLC PATA SSD [2.5", rugged metal, 44-pin] are available from 8GB to 256GB and in standard temperature grade (0°C to +70°C) or industrial extended temperature grade (-40°C to +85°C).